Can I get a grant for LED lighting? Tailored projects for industrial, office, retail and public-buildings. 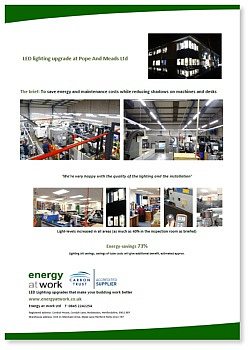 We have supplied several hundred lighting projects over 9 years. "Very happy with the lighting, looks a lot better / modern, the lads that fitted it were very good / polite / clean / and kept disruption to a minimum. Was pleased that they got it all done in one day. Thanks to you and David for the help you have provided too." "Nick is very happy with the finished product and with Jon’s work (we hardly knew he was here half the time)"
"Stephen, I am very pleased. It’s an excellent job." 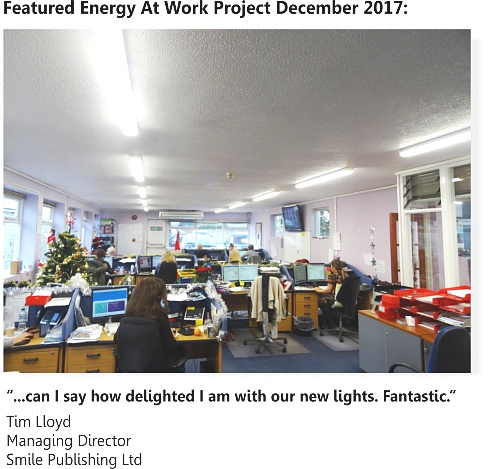 "EMS are extremely happy with the lighting installed at both its offices and workshops, both units have gone from an orange dull glow to a white clear light that makes for a more pleasing working environment. 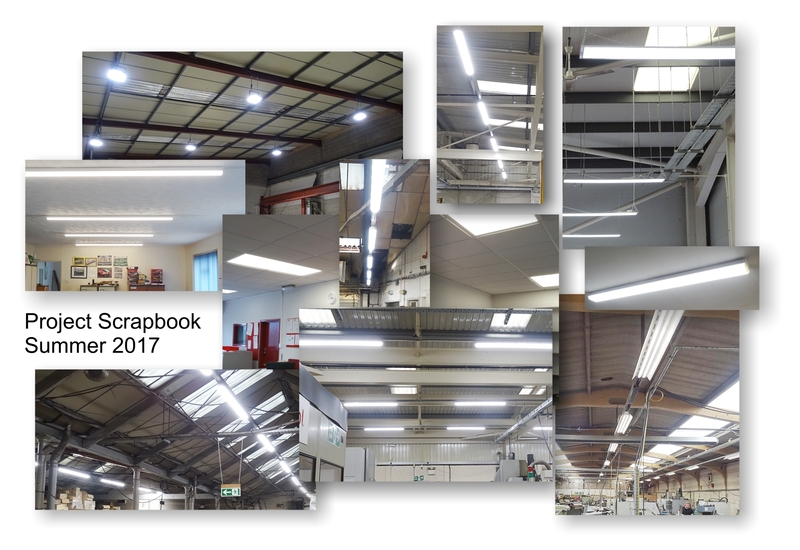 The Energy saving characteristics of the lighting is evident after only a couple of weeks, best investment we have ever made." “We are very pleased and impressed with the quality of the end result. "...really appreciate the work you put in and attention to detail. Once again, many thanks for your help"
Your installation team were very clean and efficient and gave us no problems when working around our machines. "I think he was the best electrician I have ever come across. Simply fantastic. Great Job"
Most old lighting can be inexpensively modified to save from 50% - to - 80% of energy (especially fluorescent tubes) through our lighting upgrades and installation services. 3. Ask them to suggest lighting that improves the working / visitor effectiveness of the building. Changes must be good-value so they achieve your financial goals. There are some cheap poorly-engineered lights on the market that have a very short life, so ask the designers to explain how they have considered lifespan and low maintenance. Make sure installers will be tidy, courteous and work to your agreed times. We use qualified electricians who are regular lighting-installers. 5. The last stage is configuring any energy-saving controls to maximise your energy-savings, including any sensors, dimming or remote-control features, then explain these to your staff. Contact us on 0845 224 2254 (includes message service) or 01992 537600 (if from non-BT line , office hours only) to arrange a discussion about your site, your goals and your energy-uses. 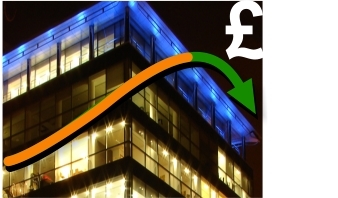 You can achieve the maximum savings with the minimum capital-expenditure. We work with many publicly-funded sites, and private organisations from offices, to hotels to factories and warehouses, where payback can be as fast as 12 months.